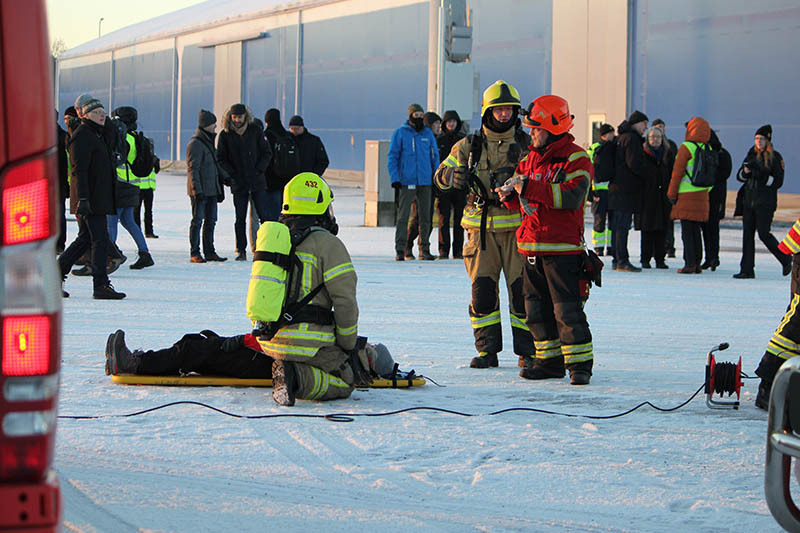 The last large-scale exercise in HAZARD project was arranged 28th of November at the Port of Turku in Finland. 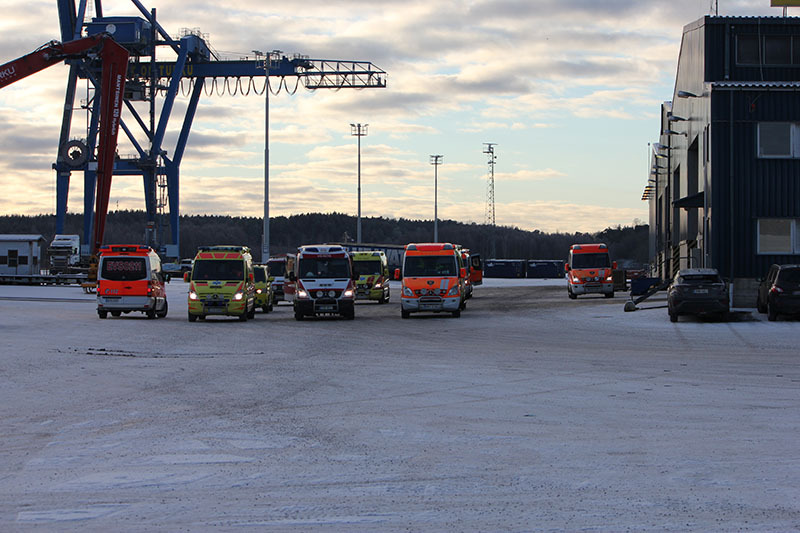 Altogether 10 large-scale exercises have been arranged during the project in the partner seaports in Turku (FI), Naantali (FI), Klaipeda (LT) and Hamburg (DE), which are also part of the TEN-T Core Network Corridors. 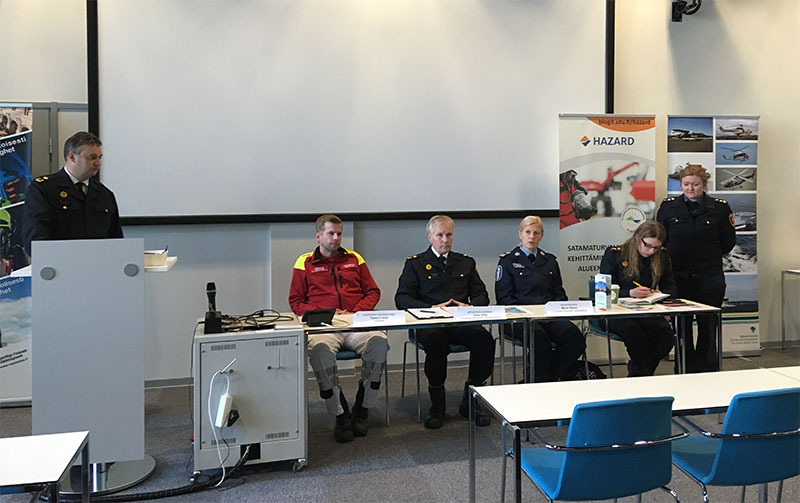 The aim of the exercises is to enhance preparedness and co-operation between authorities to mitigate the effect of emergencies in BSR seaports. 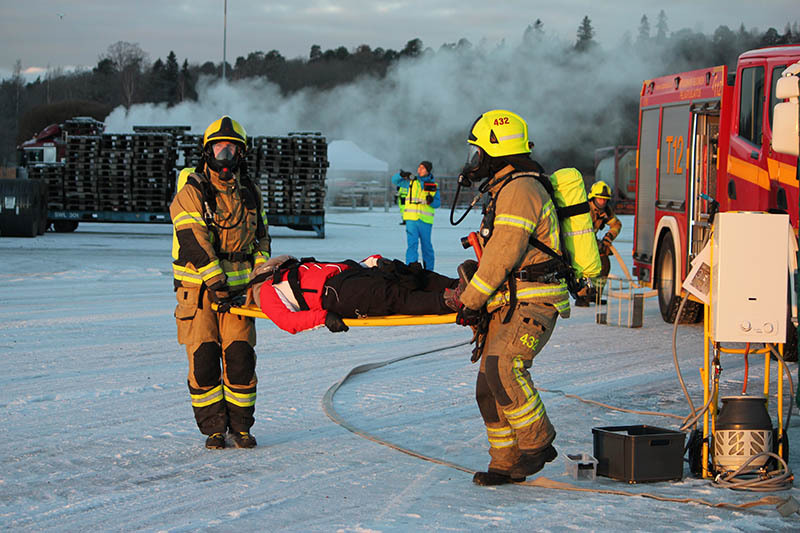 Southwest Finland Emergency Services was responsible for the planning and execution of the exercise. 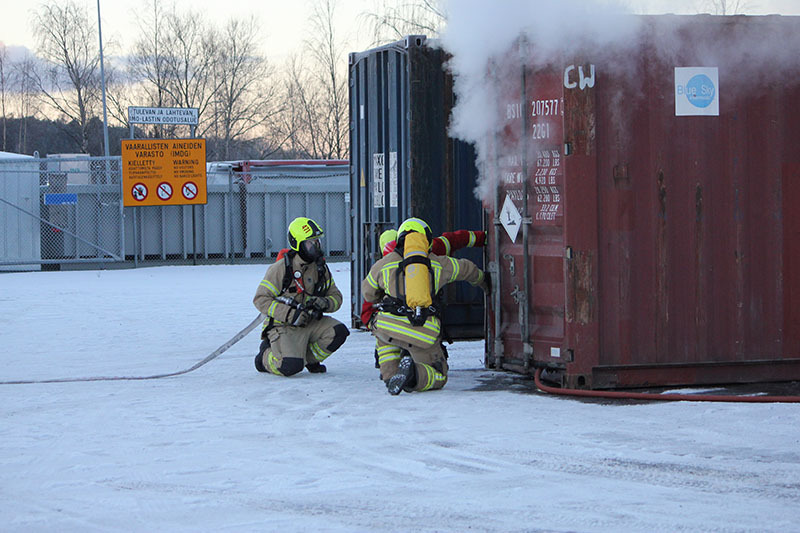 In the scenario a leak was detected in a container storing hazardous material. 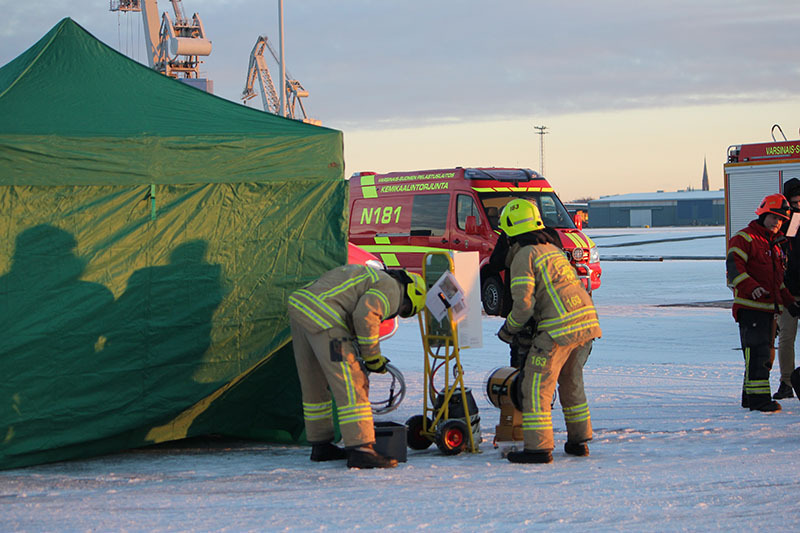 While checking the leak the fire fighters found in one of the containers around 25 persons, who didn’t speak Finnish. Were they victims of human trafficking or asylum seekers who had illegally entered the country? 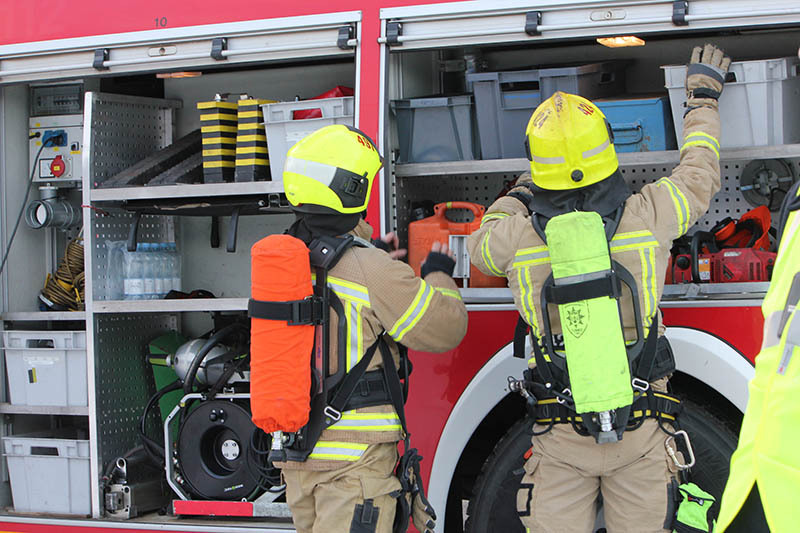 The persons were contained with the hazardous material, ammonia, and they had to be decontaminated before further actions. 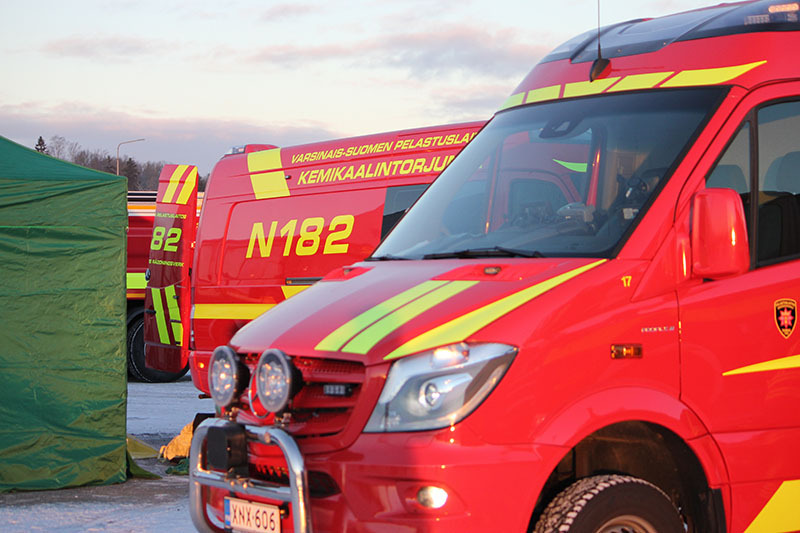 Many different authorities are needed in a real incident like this. 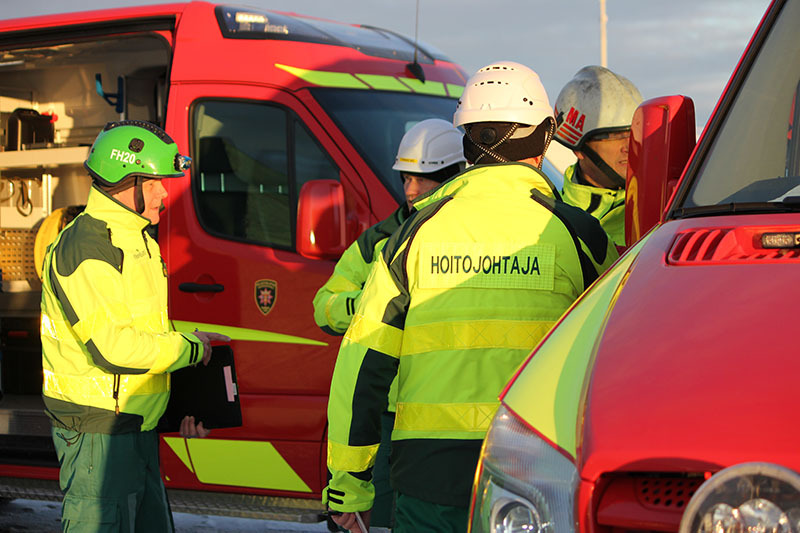 That is why the co-operation and communication between authorities plays such an important role and has been one of the key elements in the project. 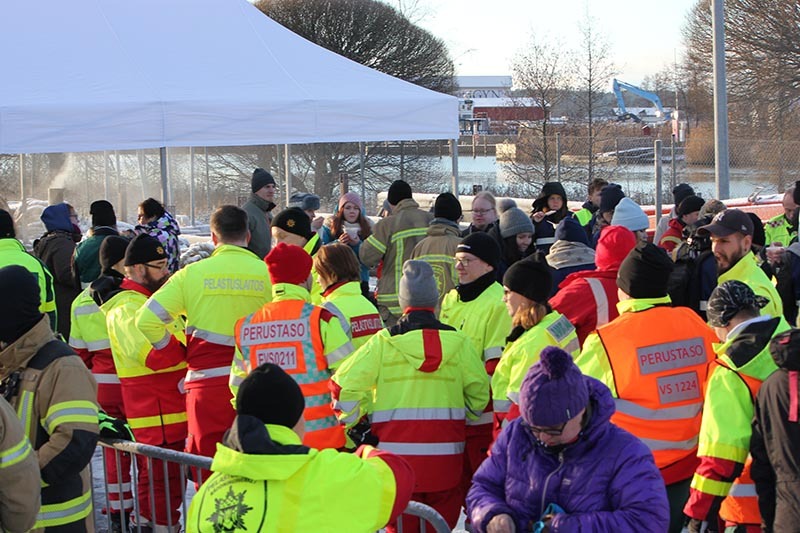 The participating organisations in this exercise were the Southwest Finland Emergency Services, Emergency Medical Services/Hospital District of Southwest Finland, Southwestern Finland Police Department, the Finnish Border Guard and the Port of Turku. 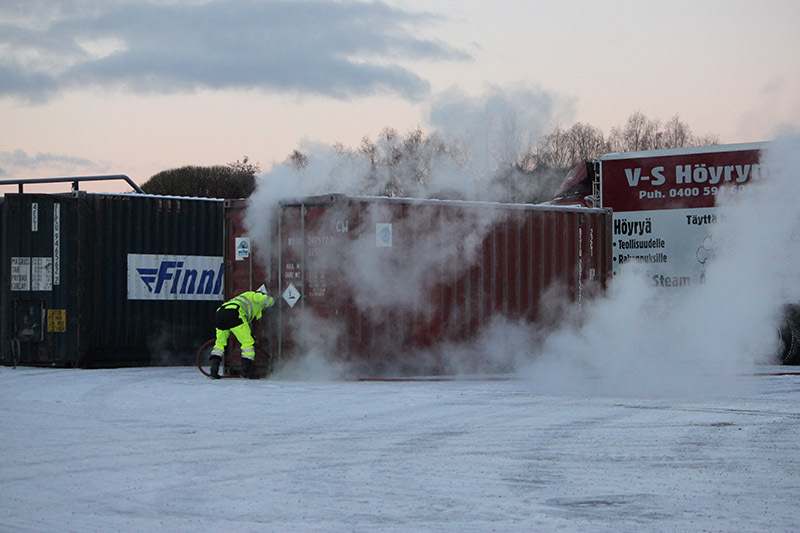 While checking the leak the fire fighters found around 25 persons in one of the containers. They didn’t speak Finnish. 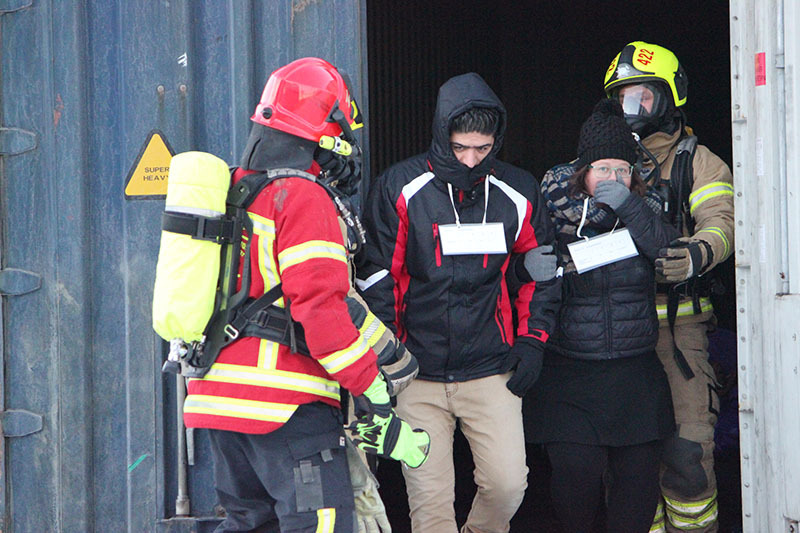 The persons were contaminated and had respiratory symptoms. 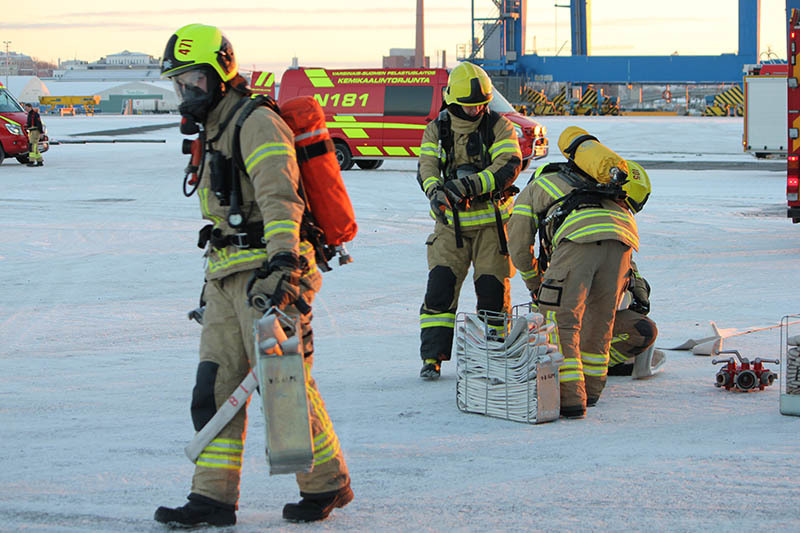 The chemical response units started to prepare a heated shelter for decontamination. Some persons were badly injured. 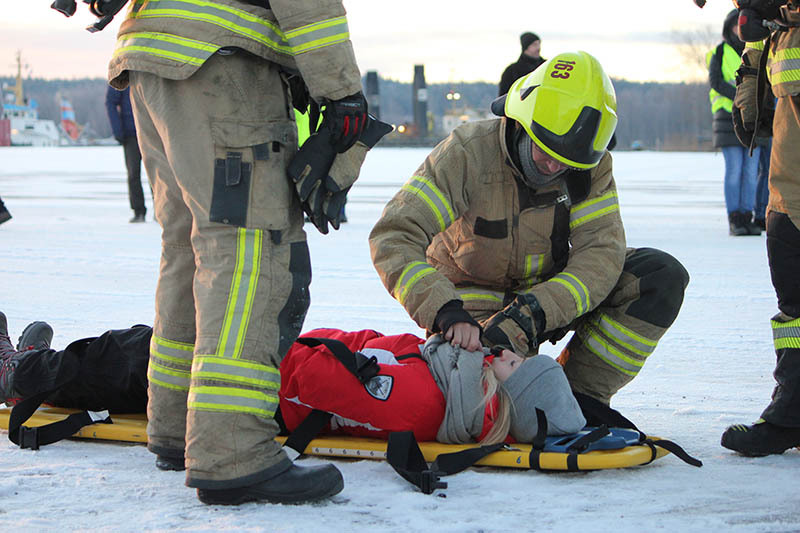 The Emergency Medical Service were called to help with the patients. There was a bit of a panic and one person fell into the sea. 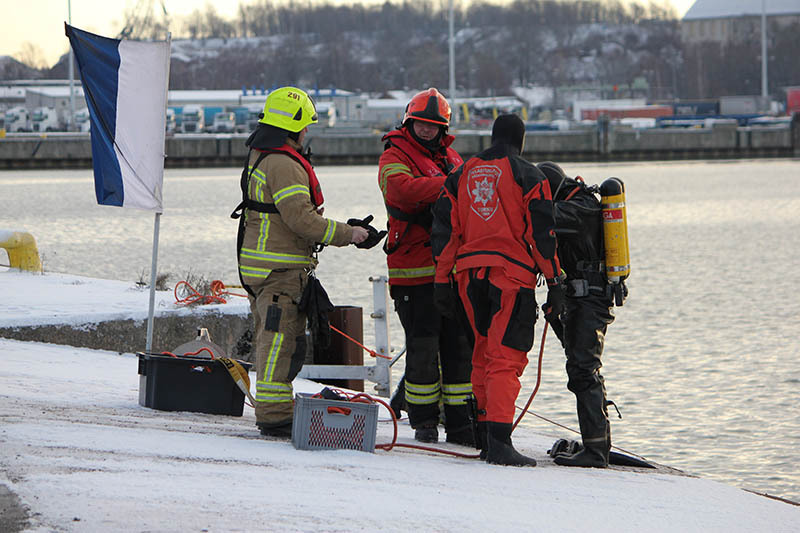 The rescue divers are preparing for an underwater rescue mission. 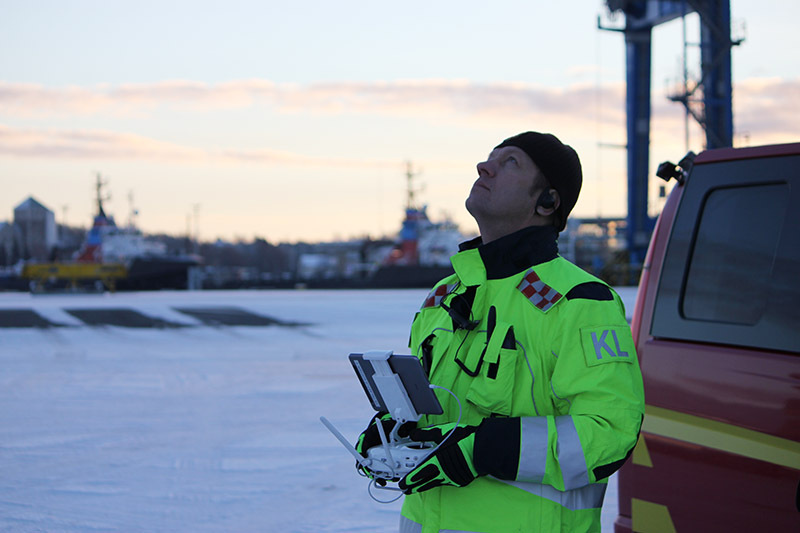 RPAS (Remotely Piloted Aircraft System) was used to create the situational awareness. After the people were evacuated, the leak could be sealed. 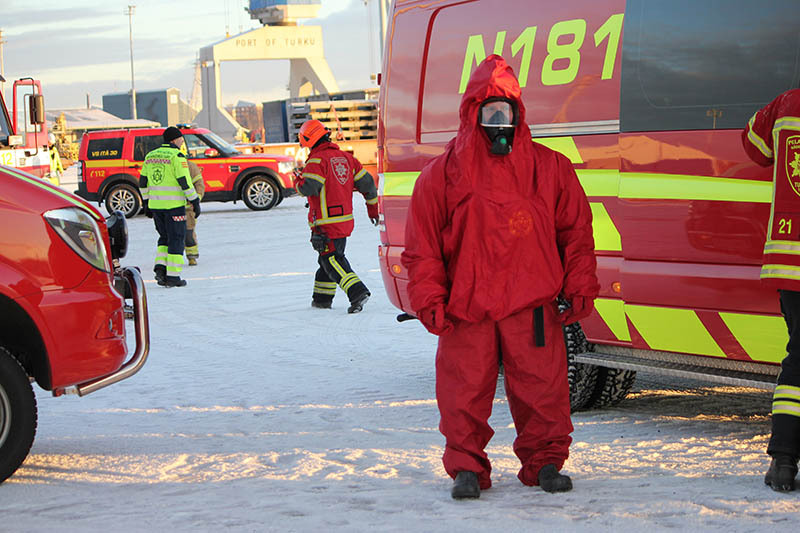 Because of ammonia, a cold protection suit has to be worn to protect the gas tight suit underneath it. Packing up after the exercise. The temperature was -5 degrees C, so hot soup was extra tasty after the exercise. 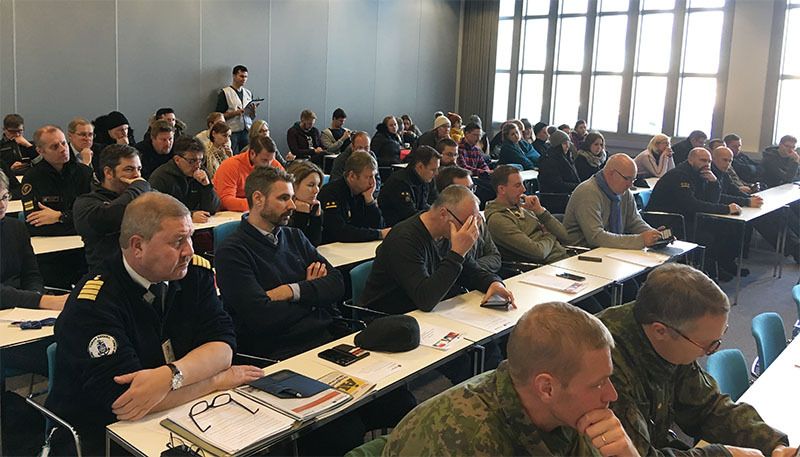 The last part of the exercise was a rehearsal press conference, here the leading officers answered to numerous guestions in three languages. The conference room was packed with interested “media” representatives.